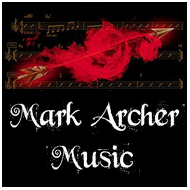 To keep the emphasis of the ethos of the Blowout Sax approach that playing the sax should be maximum fun, there are a number of avenues students can take the sax once once they have been playing for a little while. Doing it is about showing you some of these options available to you and seeing which ones fit. 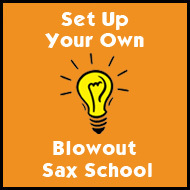 The first part of Doing It are the Blowout Sax gigs. Once or twice a year The Blowout Sax Schools of Bath And Bristol have been putting on its sell out gigs at The Chapel Arts Centre for over a dozen years. The incredible aspect of this is that over 70 saxophonists of all ages, sizes and abilities will get on the stage and display their talents in front of family and friends and a live audience accompanied by a top class band. This for many students is fulfilling the ultimate dream. Then the next part of Doing It we show the variety of workshops Blowout Sax have successfully run in the last decade. From the ever expanding numbers it took to break a world record, to workshops of varying sizes designed to simply enjoy and learn playing the saxophone with other students. In this regard group and buddy sessions are also highly popular and effective. 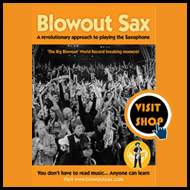 The Blowout Sax Schools and their students have also been involved with other saxophone projects as witnessed by many of our participants in Andy Sheppard’s ‘The Living Bridge’ project. To finish Doing It we also show some students who have gone on to play saxophone with bands gigging out there live.